St. Patrick’s Day 1991 arrived some 20 years into the Troubles. The Irish Republic was taking a cautious approach to the upcoming 75th anniversary of the Rising. “Officials say at a time when talks are soon to open over the future of Northern Ireland, they do not want to be seen celebrating an event that could be exploited by the outlawed Irish Republican Army as justification for its own violent campaign to oust British rule from the province,” The Washington Post reported after the holiday and before the anniversary. A government spokesman said “the right note has to be struck-dignified and low-key, without in any way allowing it to be misrepresented.” But with the IRA planning their own parades and other events, critics charged the government’s inaction effectively allowed “radicals to hijack the Rising,” the Post said. 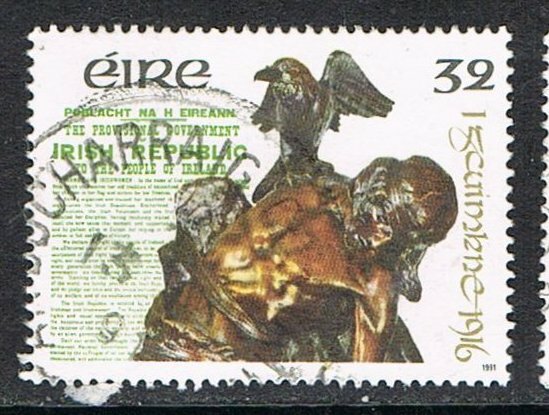 Irish stamp issued in 1991 for 75th anniversary of the Easter Rising. 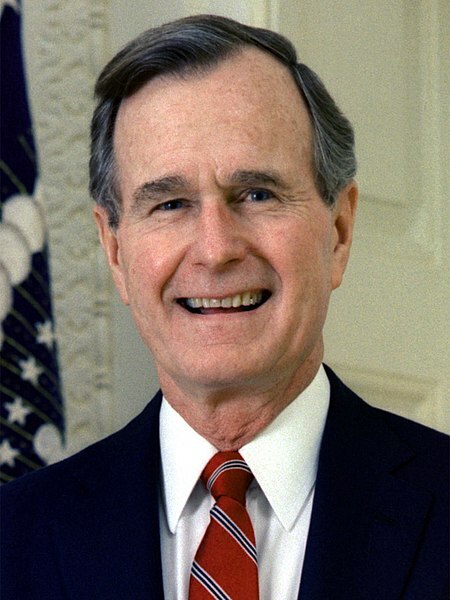 Bush flew to Hamilton, Bermuda, to confer with British Prime Minister John Major on St. Patrick’s Day, two days after Major met with the main Unionist parties in London. As Easter 1991 approached, the Good Friday Agreement was still seven years in the future. This entry was posted in History, Irish America, Northern Ireland, Politics and tagged George H.W. Bush, Gerard Collins, John Major, Peter de Rosa on March 17, 2016 by admin.